Early in December, I was distressed to receive these in the mail. You can read about it in part one here. So after I finished my chauffeuring duties, this message was waiting for me. “We are so sorry to hear that our Hilo Hattie delights arrived to you in such poor condition. 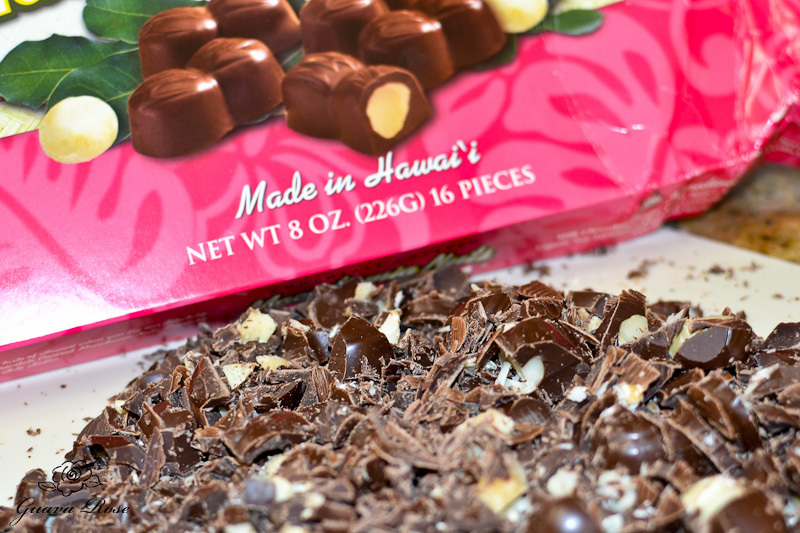 Please note that we pride ourselves on excellent customer service and satisfaction with an abundance of aloha. 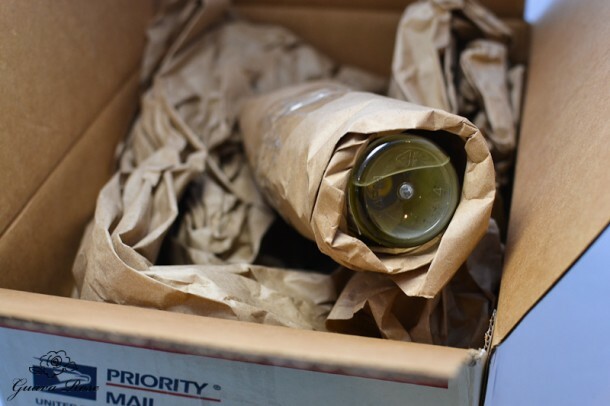 We will look into the shipping methods at our Ala Moana Center store and make any necessary corrections. Hmm… two hours…pretty quick response. I immediately sent back all the information he requested, along with the tracking number from the US post office packing box. This was Friday, and he promised to get back to me by Monday. “We’ll see,” I thought. Close up of a Hilo Hattie chocolate covered macadamia nut candy. Is it supposed to look like two macadamia nuts or coconuts? Well, Monday came and went, and I wasn’t surprised I hadn’t heard from Hilo Hattie yet. I know, sometimes these things take time. “We have identified your Dad’s order for six Pink Box Hilo Hattie chocolates for a total purchase price of $42.99. We have also instituted new packaging requirements for future orders of this type of product from our stores. I’d like to personally thank you very much for taking the time to write to us in order that we may better serve our customers in the future. We really appreciate your concern. Excellent! 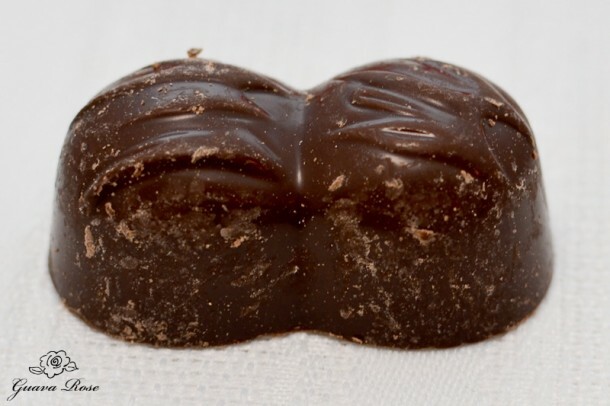 They listened– credit for my candy, and the institution of new packaging requirements. A quick note of thanks, and I was ready to shop. 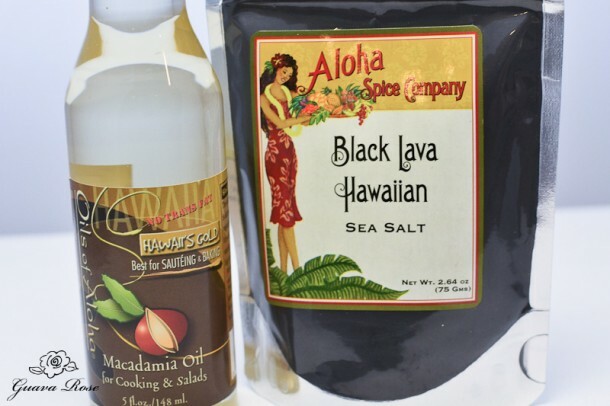 I bought macadamia nut oil and black lava Hawaiian salt. The $10 credit pretty much paid for my shipping fee. So, Hilo Hattie made a couple of sales instead of just exchanging a box of candy. Maybe they’ll start offering online credit as an option more frequently, and gain more sales. Now, what to do with those scuffed up candies. The easiest thing to do would be to chop them up and make chocolate chip cookies. 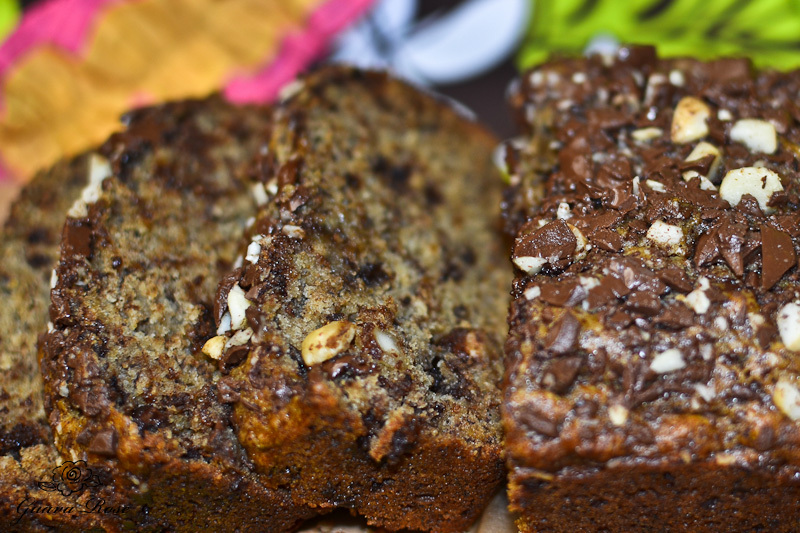 Chocolate Macadamia Nut Banana Bread sounds better, with chopped up chunks in the batter and sprinkled on top. 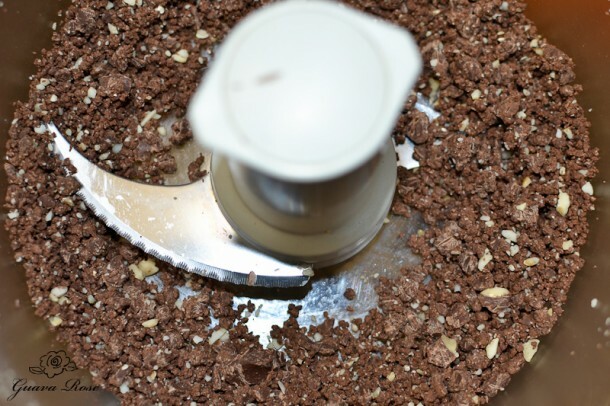 For a finer texture, it’s easiest to use a food processor. And mix all the tiny chocolate and nut bits into the batter. I like it this way because the chocolate gets dispersed more evenly. This tastes best warm out of the oven, when the chocolate is nice and soft. Using melted coconut oil in the batter gave this bread the most wonderful, delicate coconut fragrance, taste and texture. Though once the bread cooled, you couldn’t really smell or taste the coconut. Warming it up in the microwave for a few seconds revived the light coconut aroma and flavor. Definitely warm any leftovers in the microwave or toaster oven. Okay Hilo Hattie, I forgive you, and mahalo, thank you for following through– it means a lot. Look how well packed my Macadamia Nut Oil and Black Lava salt arrived! Even got a packing slip. I’m looking forward to experimenting with these. I already have a salad dressing in mind for the macadamia nut oil. Anyone have any good recipes or ideas? 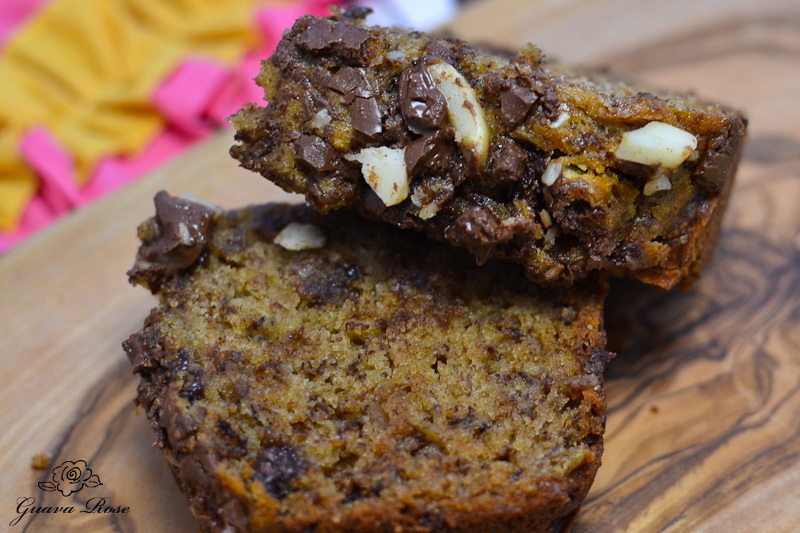 Banana bread sweetened with bits of chocolate covered macadamia nuts. 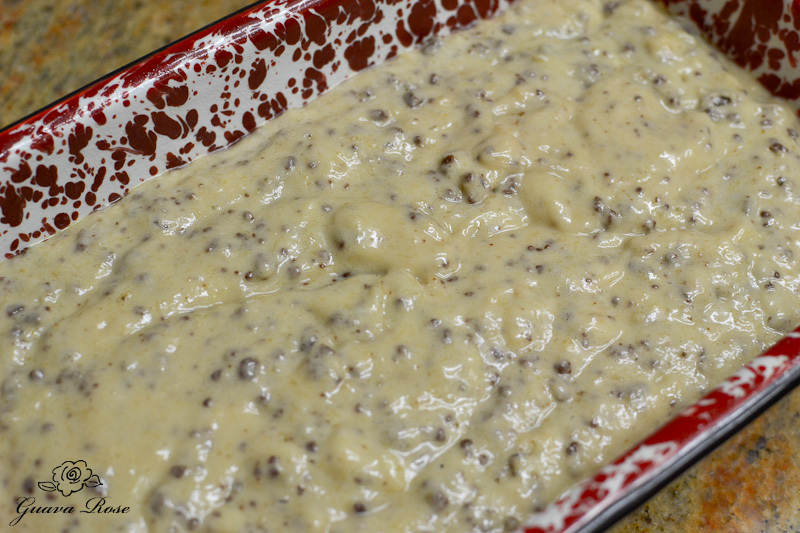 Preheat oven to 325 degrees F. Whisk together flour, salt and baking soda in a bowl. 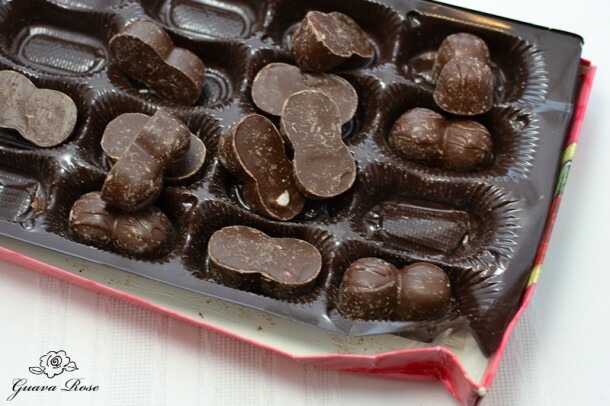 Set aside ¼ c. chopped candy for later to sprinkle on the top before baking, or mix in all of the chopped chocolate candies until well coated with flour. 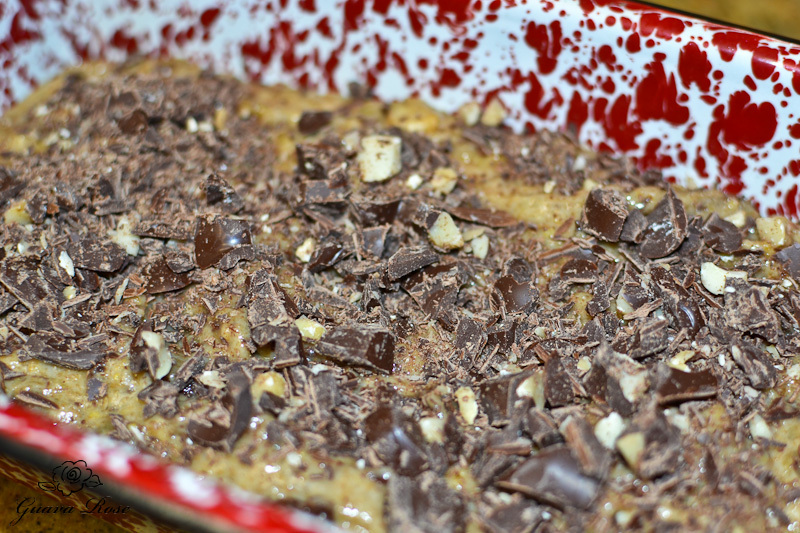 In another large bowl, mix together bananas, sugar, oil and egg. Add dry ingredients. Mix until just blended. Pour into a large, greased 9" x 5" loaf pan. Top with any reserved chopped candy. Bake 45-50 minutes or until toothpick inserted into the center comes out clean.